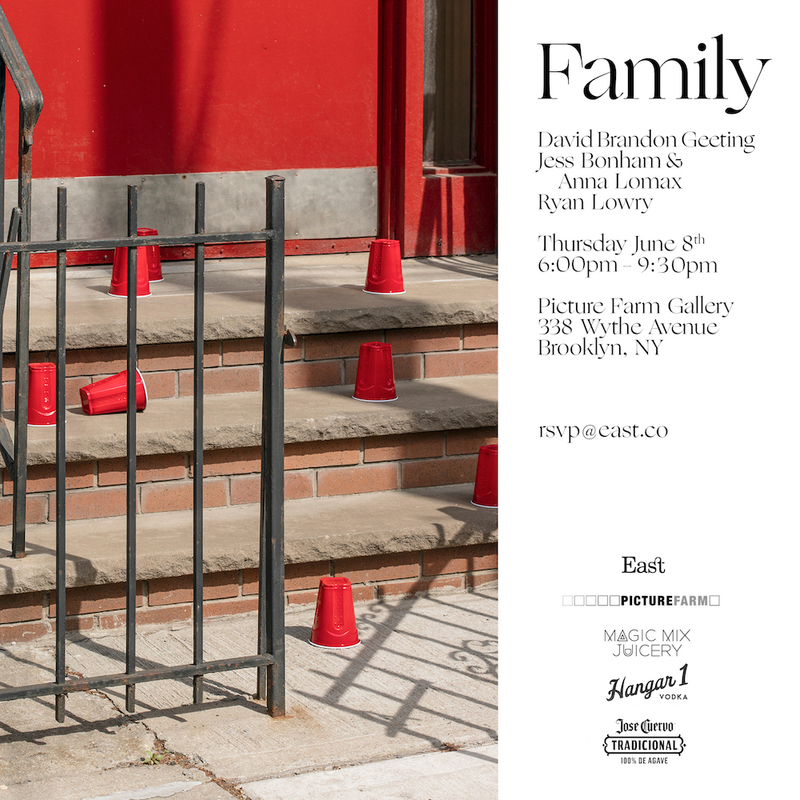 Picture Farm Gallery is proud to announce the opening of a new group photo show in our Brooklyn space featuring the photographers Ryan Lowry, Jess Bonham & Anna Lomax and David Brandon Geeting. Titles “Family” and curated by East, the show highlights often piquant observations, in both street, fashion and still life photography. The opening reception will be Thursday June 8th 2017 from 6 to 9 pm and the exhibition will be up in the space through June and into the beginning of July.